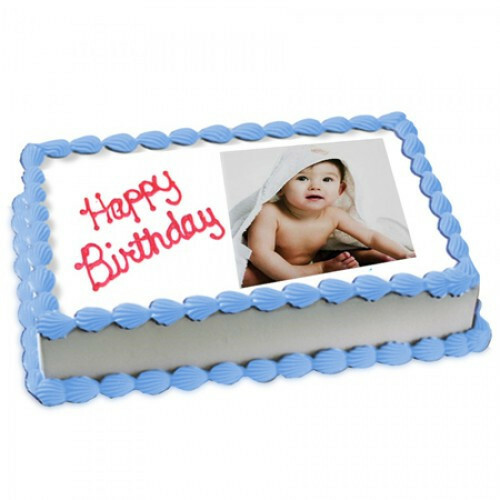 Send this personalised photo cake of 1kg to ur loved ones. The flavour of the cake can be changed. Flavour Vanilla. After you have placed the order mail the photo at myfloralkart@gmail.co with your order no.Cakes are available in variant flavours that includes Chocolate,Pineapple,Vanilla and Butterscotch.